This is a painting called 'A Concert'. 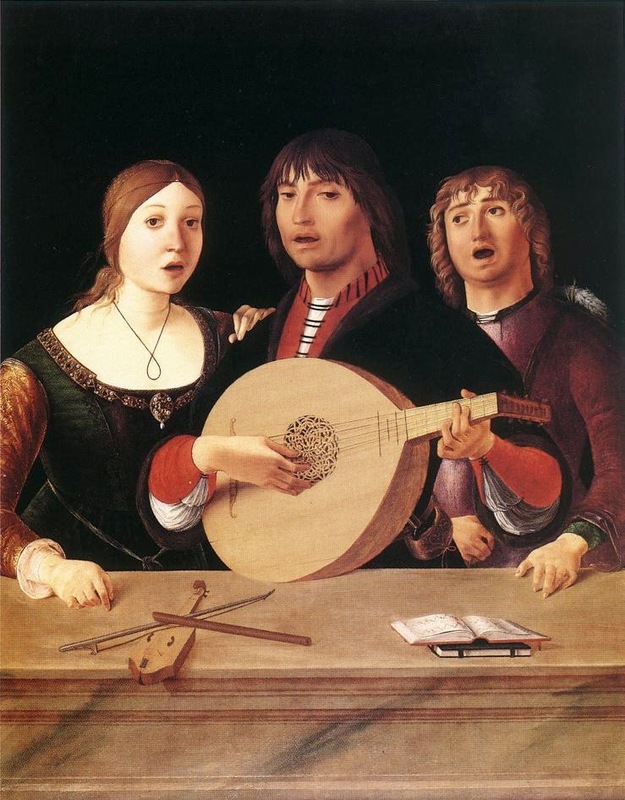 It was done in around 1490 by an Italian artist called Lorenzo Costa. Pretty sure this is the earliest recorded appearance of Wyld Stallyns (featuring one of the beautiful babes from England), and therefore proof that Bill S Preston Esq. and Ted "Theodore" Logan were in fact genuine time travellers. Now seems as good a time as any to mention that a 25th Anniversary edition of Bill & Ted's Excellent Adventure is out on Blu-ray this week. It's still *sigh* totally bodacious, dude.